Apple Pay was announced all the way back at the iPhone 6 event in September 2014. At the time, CEO Tim Cook bashed the lax security of the plastic credit card and unveiled the phone-based tap-to-pay payment service. In the nearly five years since, only a small proportion of people have used the service at the cash register, despite the advantages of the system and ubiquity of contactless NFC terminals. Adoption has been far behind what Apple and many others had hoped as the American — and to some extent, worldwide — preference for plastic (and metal) cards has been hard to change. According to eMarketer, only 27.4% of U.S. smartphone users used contactless payments at least once in the past six months. In terms of the population, this is about 61.6 million in 2019 — a lot, but far less than the 7 out of 10 Americans with at least one credit card, not to mention debit cards. Even companies like Paypal’s Venmo, which is a digital-first payment provider, stepped backwards in time to launch a plastic card, because of some resistance to mobile payments at the checkout counter. 2% cash back — only if you use Apple Pay. Apple is not a magical, failure-proof company, but it does have an almost singular ability to make things catch on that otherwise are unpopular or undesired. In recent years, the company pushed the Apple Watch through to a respectable level of success, forced people to accept the headphone jack’s demise, and turned the AirPod from a Q-tip joke to a popular product. Though the company failed to fundamentally change the payments industry, its second attempt has some things behind it that could make a difference. A look at the app. Rossman estimates that the highest credit tier of around 740+ could get 13.25% APR and 24.24%, the highest end, “should be attainable for people in the fair/subprime space.” This puts a potential barrier to entry to those with credit scores in the mid-600s. For this cohort especially, Apple’s lack of late fees and penalties, spend tracking, low interest rates, and ability to potentially manage interest payments a little better are all useful. This nudge to mobile will be amplified by the fact that it’s called “Daily Cash,” designed to put the user’s attention on the cash they’re getting back. Seeing the cash back on a regular basis will likely promote further mobile contactless payment use. What this means is that it may be the middle of the credit score market that makes the biggest progress in advancing contactless mobile payments, not Apple’s typically higher-end market. 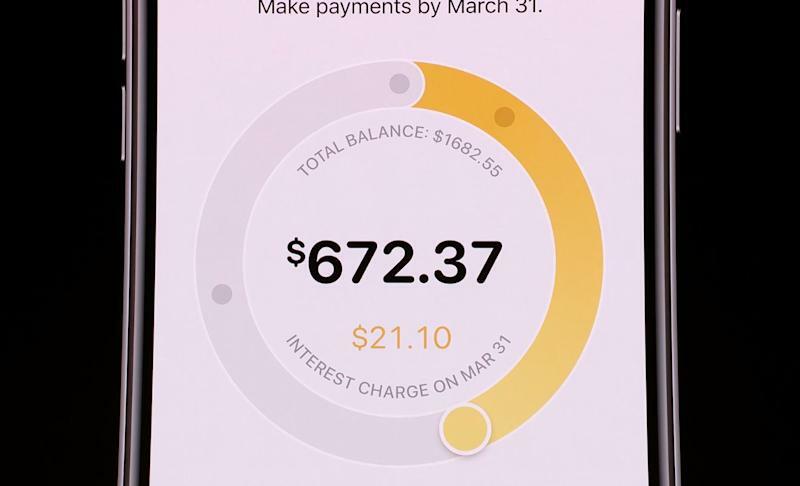 The Card app will have a field that shows users how much interest will be charged depending on the payment. 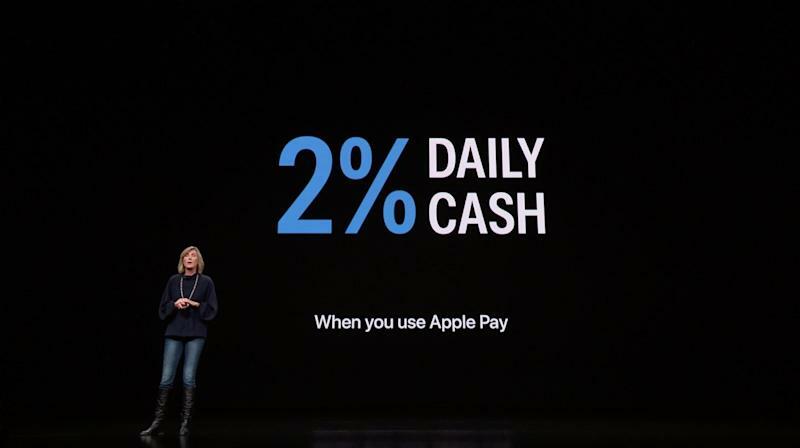 Rossman says that Apple is a big part of this, but that Apple’s move comes at a time when many contactless payments systems are converging. And one venture’s rising tide may lift all boats. Right now, Chase, Visa, Capital One, and more are all in the process of rolling out contactless cards in greater numbers, Rossman said. At the same time, public transit systems — as Apple noted — in New York, Chicago, and Portland are transitioning to RFID technology, which is how Apple Pay works. As both Rossman and Wells Fargo research have noted, all these other tap-to-pay contactless players — who will use a physical, tappable credit card, not an iPhone — may be headwinds to Apple Card’s growth, especially given that the timetable is the same. 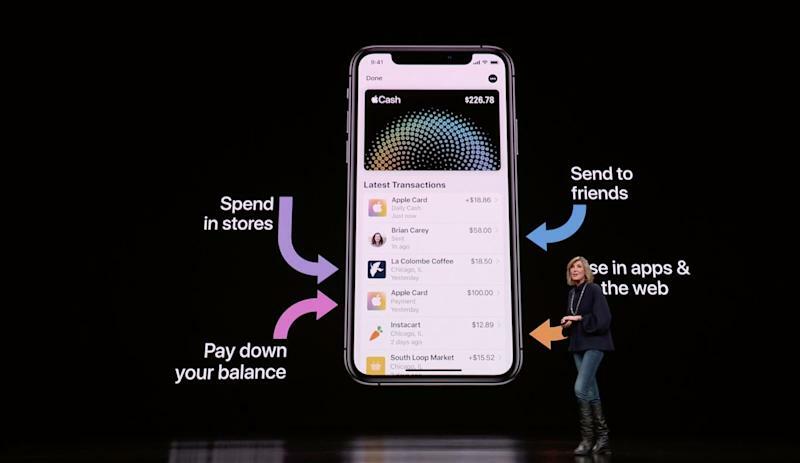 Though Apple has the benefit of a big launch and news articles to spread the word, people with Chase, Capital One, and other credit cards will find out by simply getting a new card in the mail.